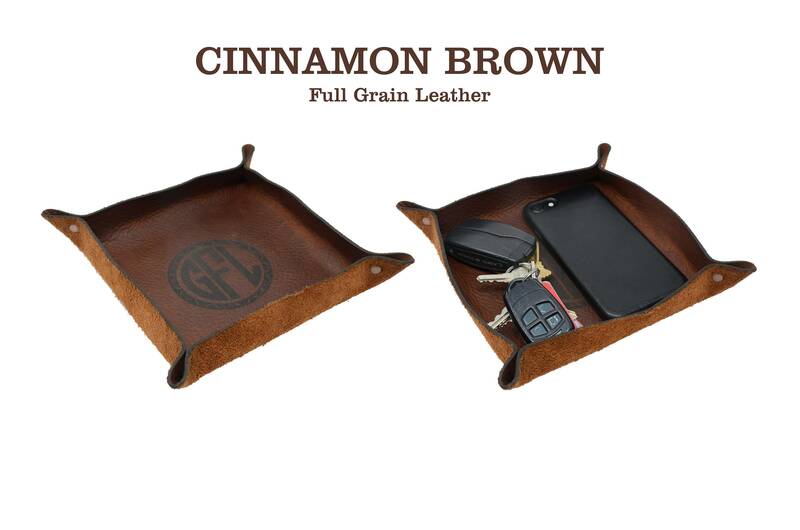 Leather Color and Size CinnamonBrown - 6x6" Olive Brown - 6x6"
This beautiful brown leather tray is handmade from full grain cowhide leather - the very best grade that we personally hand select from local suppliers. 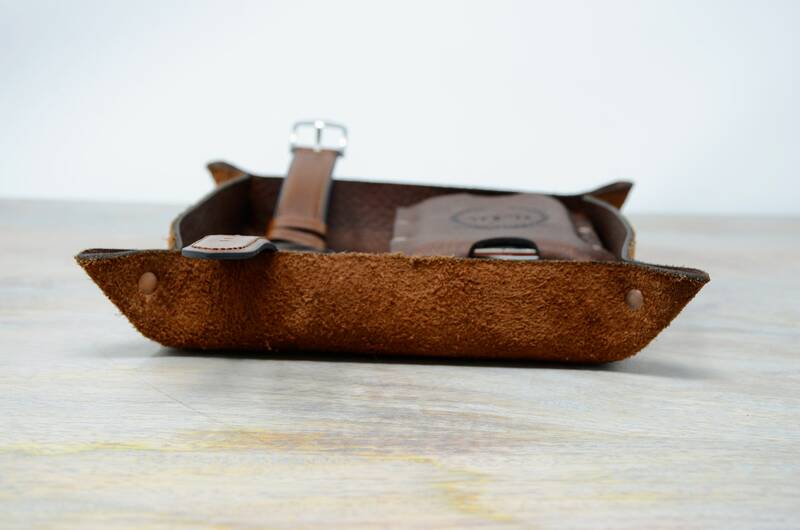 This leather has all the natural imperfections and textures that make each product different from the next. This product is meant to have a long life. 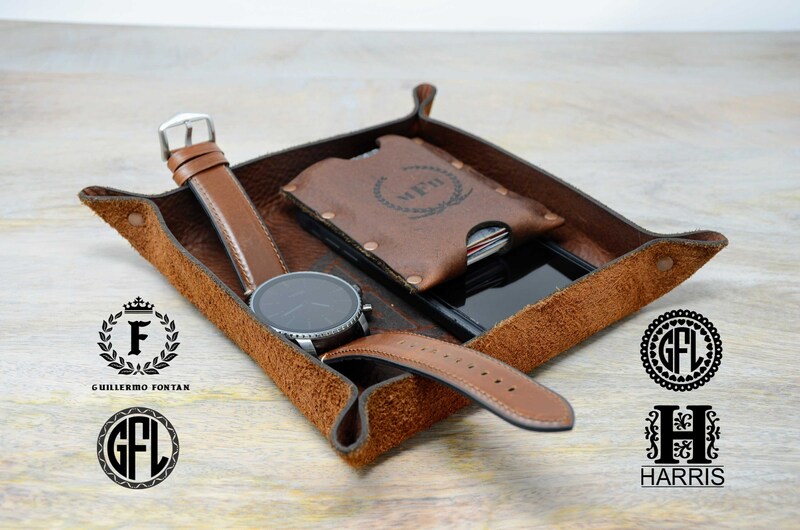 - Cinnamon Brown: Oil-tanned leather, this leather is very durable and though. 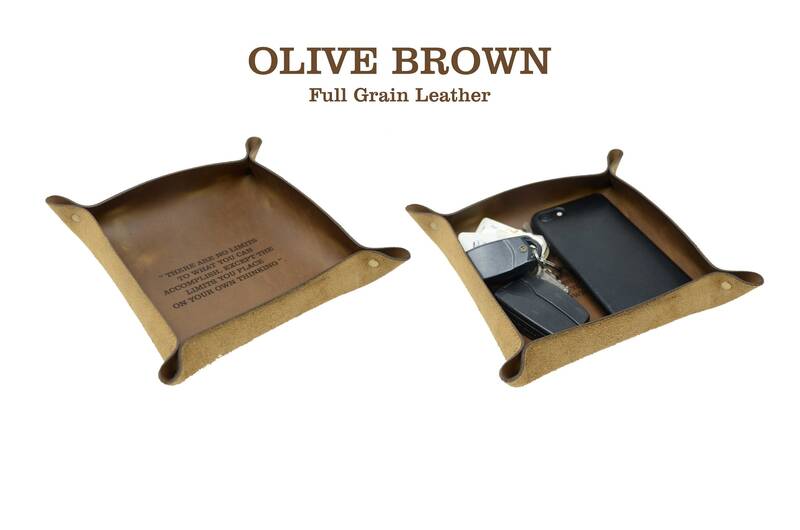 - Olive Brown: This leather has been finished with oils, waxes and dyes which gives it an "aged" look. - Full grain cowhide leather. 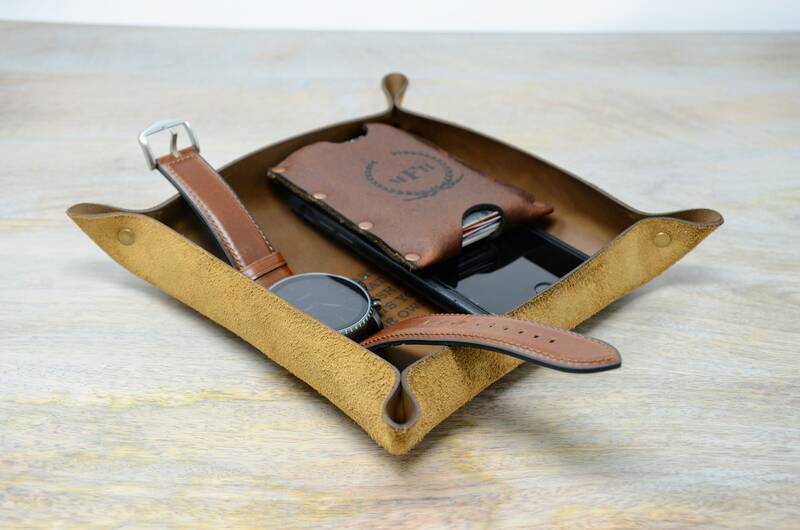 - High quality and fine leather, the color returns by rubbing a cloth or your hand. - Size is 6" x 6" approximately. - Handmade in Texas, USA. The watch, wallet or cellphone are not included with this product. Awesome customer service and awesome product. My brother loved it for Christmas. It was exactly what I was looking for. 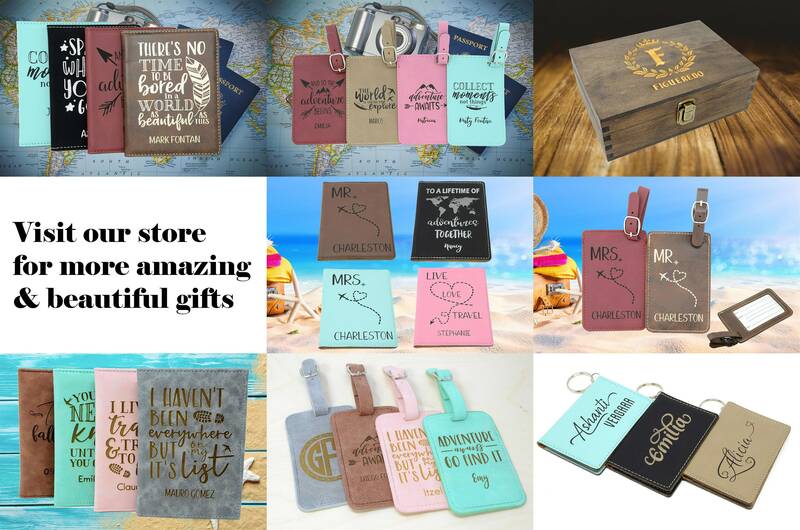 Something personalized, portable and practical. This was a beautiful gift!. 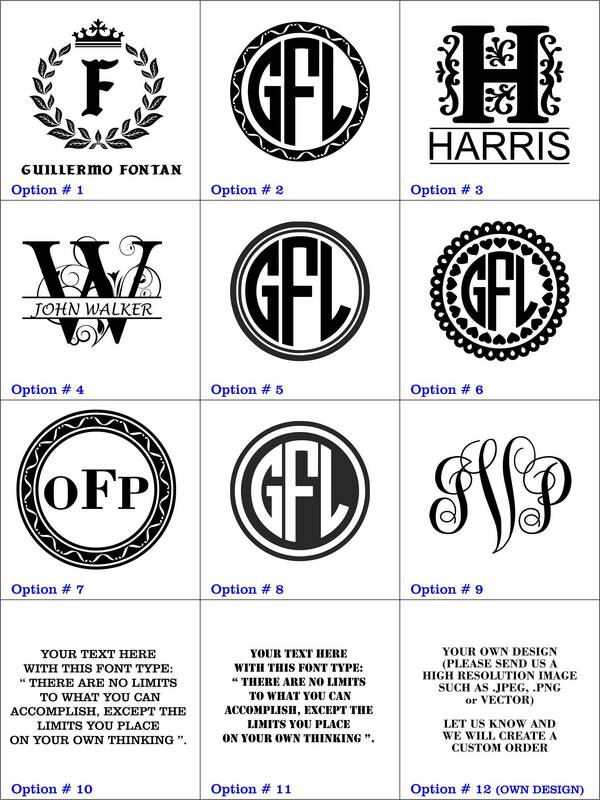 Guillermo was so wonderful in accommodating in my request for a specific monogram. I will definitely order from him again! Thank you so much . 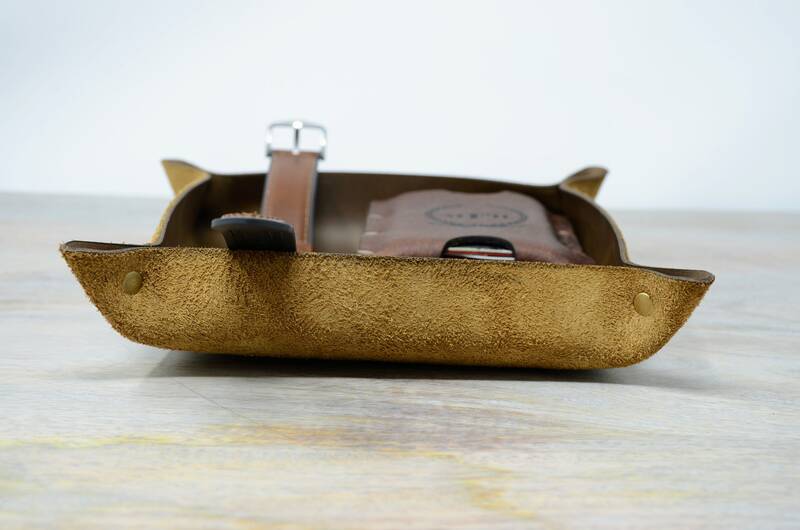 I Love it .I recomend everyone to get one of this beautiful leather trays. Customer service its great , the owner responded all my question and delivery was fast. I cannnot be more happy. 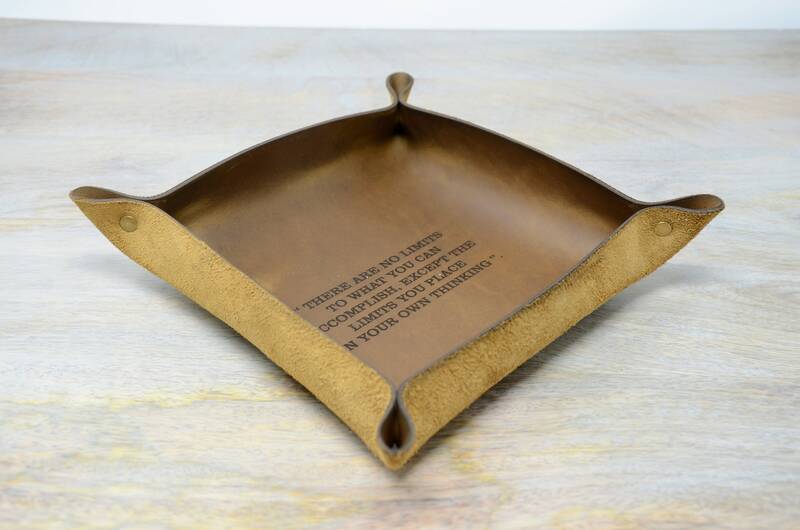 This leather catchall was a perfect gift for my husband on our anniversary. The owner was very quick to respond to my questions and it shipped very quickly. I highly recommend! 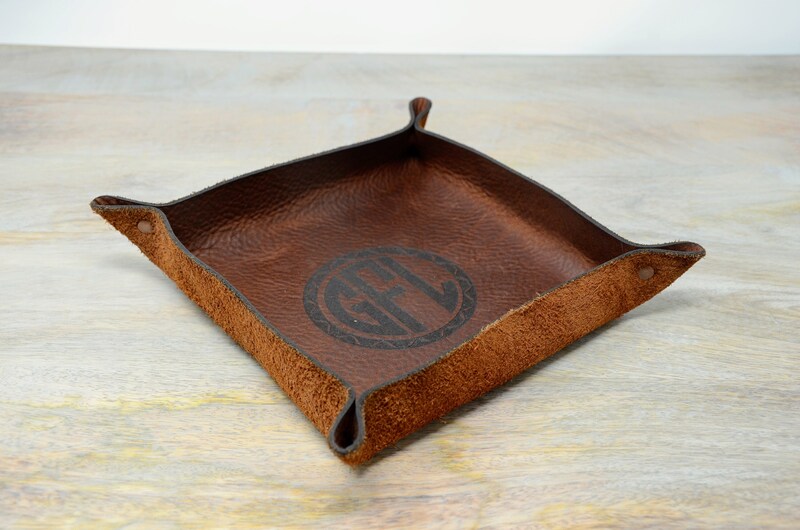 The tray turned out stunning and the leather is fantastic. It will make the perfect gift for someone who’s hard to buy for.